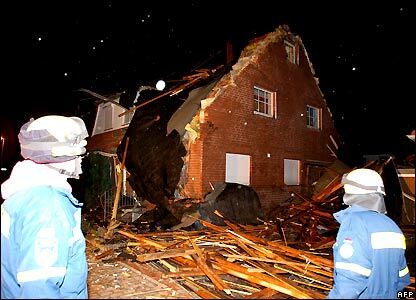 Fierce winds have been pounding northern Europe - including Germany, France, the Netherlands and the UK. The storm has been moving east over the continent. 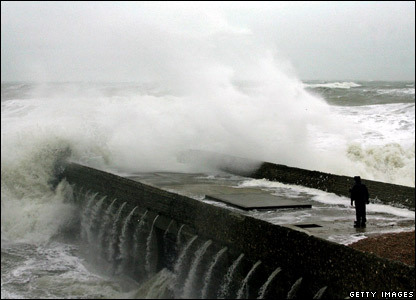 Germany was one of the worst-affected countries, with hurricane-force winds shutting down the rail service nationwide and forcing the cancellation of dozens of flights. 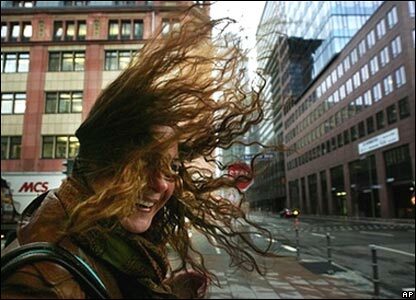 The high winds have brought down trees and power lines across the north of the continent and torn roofs off buildings. 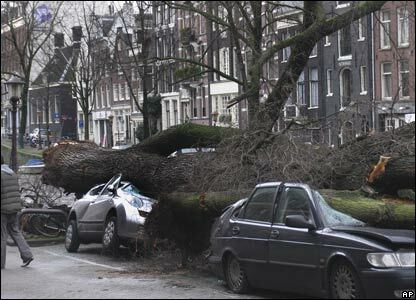 In the Netherlands, winds caused travel cancellations and school closures, as well as damage to property and vehicles. Most of the deaths across Europe have been from flying debris and car accidents. 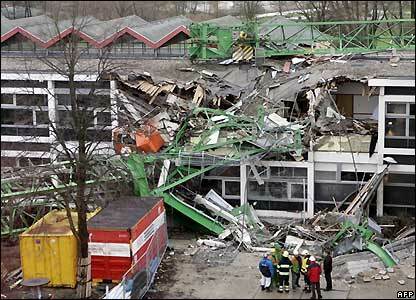 Several people were injured in Utrecht when a crane was blown over, falling on a university building. 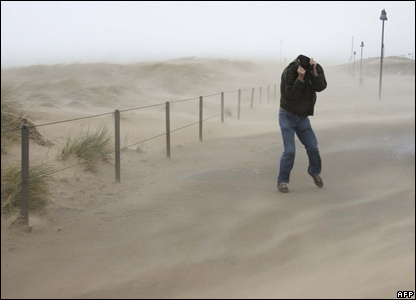 The Dutch weather service said the country had not seen such a storm for years. 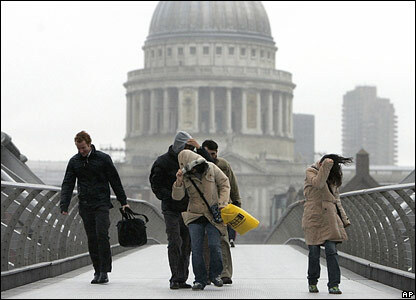 In the British capital, tourists and Londoners alike struggled to make their way across the city. 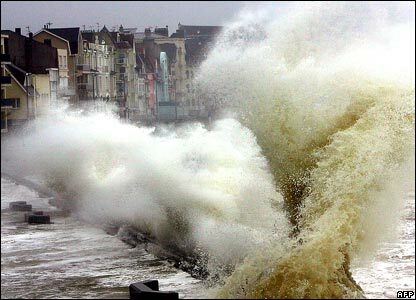 While the British coast was pounded by high waves such as these at Brighton pier. 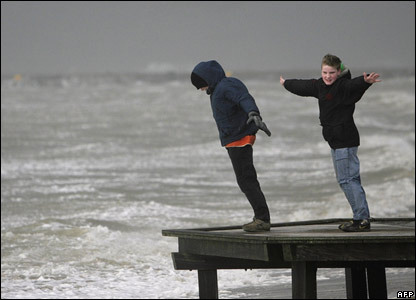 But not everyone was taking the high winds seriously - two children made the most of it on the beach at IJmuiden, on the Netherlands' North Sea coast.